A fresh market intelligence study has recently been added by Market Research Hub (MRH) to its vast collection of research reports. The research study, titled “Global Airborne Telemetry Systems Market worth 10.5 Billion USD till 2024” provides a thorough overview, focusing on the currents trends and growth prospects in the market. The key drivers, restraints, product segmentation, key geographical segments, and the competitive landscape of the global Airborne Telemetry Systems Market have been included in the research study. In addition, the potential opportunities in the market have been highlighted to guide the key players in making effective financial decisions. The Airborne Telemetry Systems market was valued at Million US$ in 2017 and is projected to reach Million US$ by 2025, at a CAGR of during the forecast period. In this study, 2017 has been considered as the base year and 2018 to 2025 as the forecast period to estimate the market size for Airborne Telemetry Systems. 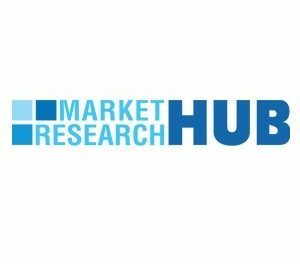 This report presents the worldwide Airborne Telemetry Systems market size (value, production and consumption), splits the breakdown (data status 2013-2018 and forecast to 2025), by manufacturers, region, type and application. To analyze and research the global Airborne Telemetry Systems status and future forecastinvolving, production, revenue, consumption, historical and forecast. To present the key Airborne Telemetry Systems manufacturers, production, revenue, market share, and recent development.